In my world, Thanksgiving is the kick-off event for the next few weeks of Christmas cheer. Midnight Clear: One of my favorite Christmas albums of all time. I’ve loaded over 1,000 songs on my Spotify play list. I have everything from the Jackson 5 to John Denver. I’ll be listening to music that ranges from the beautiful melodies of Penny Rodriguez to the chipper chatter of the Chipmunks. I’ll jam to 243 versions of Silent Night and Frosty the Snowman. When I’m done, I’ll start all over again. The perfect movie to kick off the Christmas count-down. 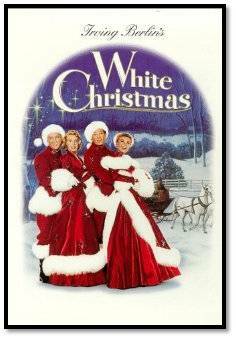 I’ve made the list of the best Christmas movies of all time and pulled the Christmas videos and DVD’s from the attic and dusted them off for the marathon that begins today with one of the best: White Christmas. I’ll move on to the Christmas greats of Scrooged and Die Hard and then settle on the classics like Charlie Brown and A Wonderful Life. It’s been a long year and I need a little Christmas Cheer. I’ll do everything I can to make it happen…even if it means overloading on some music, holiday decorations and cheesy movies. I’ll get into the Christmas Spirit, at any cost.